As a musician, sound matters so much to me. I always play music on my iPhone and iPod and I hate it when the audio becomes crappy or terribly low in quality because of some bad earphones. 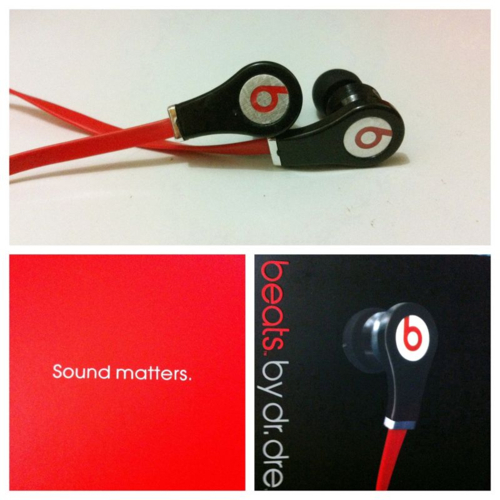 That is the reason I bought these Beats by Dr. Dre - Tour in-ear high resolution headphones. It goes really well with playing music on my iPhone. It can play really good bass with clear mids and highs too. Plus, I love the non-tangle design of the red cable. I just can pull it off anytime without the hassle of untangling it like all the other earphones. So far, so good. I can enjoy really good and high quality music anytime and anywhere i want to. I have never been much happier listening to music on any earphones. It's really awesome.